President of Russia Vladimir Putin had a meeting with Russian Government members. 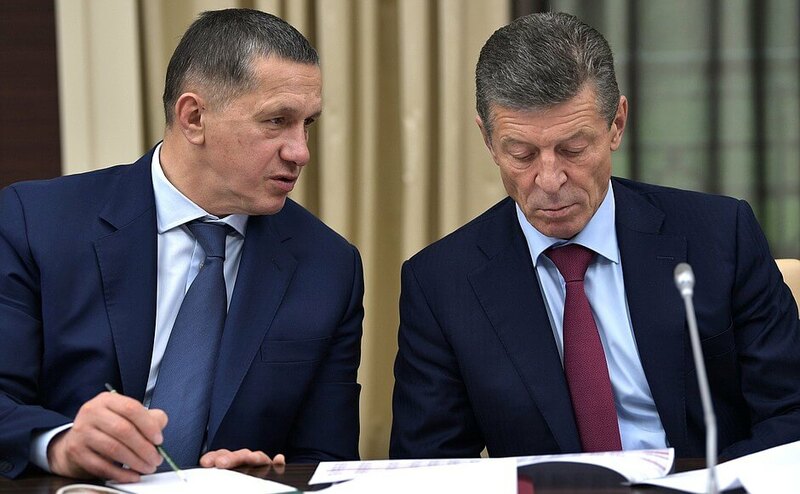 Deputy Prime Minister and Presidential Plenipotentiary Envoy to the Far Eastern Federal District Yury Trutnev and Deputy Prime Minister Dmitry Kozak prior to the meeting with Russian Government members. Today we will primarily discuss the budget, because work on it is wrapping up and the draft will be submitted to the Russian State Duma soon. I will give you more details in a minute. But I would like to first address the situation around VIM - Avia airline. Yesterday, I spoke with the Transport Minister about this. Mr. Sokolov told me that the company had fully met the requirements for airline companies. He knows my response, I do not want to repeat myself. I will only repeat one thing. If you developed criteria, what good do they do if you cannot see the actual situation behind them? What kind of criteria are these? A company may meet all requirements and still not be able to operate. Tens of thousands of people, tens of thousands found themselves in a very difficult situation. I would understand if it was the first time but similar cases occur year after year. And we are still unable to develop functional and efficient legal regulation. I understand very well that we want to create adequate conditions for businesses without the excessive burden of additional costs related to various forms of protecting people’s interests, insurance and so forth. But it is not possible to run a normal business without them. After all, business is not for business people but for the customers. By the way, the same is taking place in construction. We have been endlessly talking about housing equity holders and so what? We are investing funds, of course, and remedying some payments – many but not all – but the problem is still there. And now law-enforcement agencies report that apart from this predicament of so-to-speak official housing equity holders, there is also a different problem linked with illegal construction. This problem is many times larger than that of housing equity holders. Some companies are building housing on sites that have not been properly registered, and people have absolutely no idea where to go and whom to contact. Yes, of course, I understand that without the use of private funds this business would not have been as effective as it is now. We know about the problems facing the construction industry. Everything is clear. But why are we still unable to regulate properly the normal, civilized functioning of these vital economic sectors? I have just discussed this with the Prime Minister, and I would like to draw the attention of the Deputy Prime Minister in charge of transport to this issue: you do not pay enough attention to this sector. Not enough. Maybe you are overloaded? We have already spoken about this. 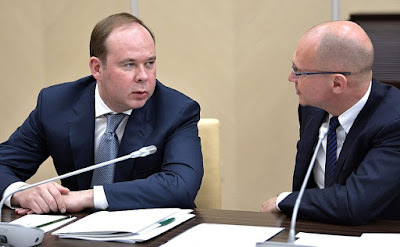 Chief of Staff of the Presidential Executive Office Anton Vaino and First Deputy Chief of Staff of the Presidential Executive Office Sergei Kirienko prior to the meeting with Government members. And I want to tell the Minister that this is a reprimand for incompetent performance. If you cope with this problem quickly and successfully, Dmitry Medvedev and I will think about what to do about this incompetent performance. If you fail, we will think about that as well. Please resolve this problem quickly and effectively, and not only resolve it but also submit proposals on settling this situation in general, intensifying the legal regulation of this sector and enhancing responsibility of carriers. It is necessary to monitor the implementation of norms, requirements and standards. They must be effective, understandable and transparent. I do not want to repeat anything, I have a reference here. I do not want to talk about this issue anymore. You know everything yourself, please work more actively in this regard.Today I would like to focus in more detail on the issue I just mentioned at the start of our meeting, I mean the draft federal budget which is to be submitted to the State Duma this week, the budget for 2018–2020. I have to say that a lot of complicated work has been done. The main financial document of the country was prepared at a time when the national economy is only beginning to move into a period of steady growth. That naturally imposes certain constraints, above all those connected with the national treasury revenues. I have to note that like in previous years, we managed to stick to a responsible approach in the planning of public spending and ensure the overall balance of the federal budget and address the main priorities of the country’s development. These are support of the economy and the development of infrastructure, strengthening national security and defense capabilities and, of course, meeting the social obligations of the state to its citizens, investment in education and healthcare, support of science and culture. Ahead lies close joint work with parliament. 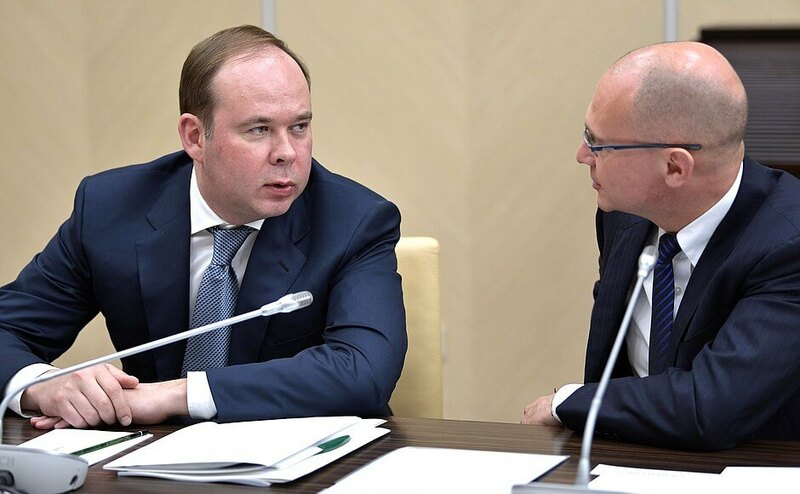 Together with the State Duma deputies we will have to go over every budget item. I repeat, I am aware that resources are limited. We all know it only too well, but still I urge you to see if there are untapped reserves for supporting key sectors of the economy, for solving the tasks of raising living standards, developing cities and communities. I would like to note that all these topics have been discussed repeatedly in various formats and at various meetings. We have to carry on the urban improvement program in cities. If you remember, we discussed it at the meeting of the Council for Local Self-Government in Kirov on August 5. Questions were raised as to what amounts of financing were needed. We are talking about creating a modern urban environment, creating public gardens, museums, recreation places, as well as about additional support for such projects in small and historical towns, which is particularly important for safeguarding our national memory. This program has just got under way, and it is working effectively. I am requesting more federal funds to finance these areas of activity. We have to plan a large-scale ecological program to save the River Volga. We have to repair the harm inflicted on the ecosystem of that river and ensure prudent use of the Volga’s resources. I would like to stress that this is a very important and sensitive topic for tens of millions of our citizens. This topic has also been discussed more than once in various formats, and I urge you to remember it and address all these needs in the budget. Deputy Prime Minister Olga Golodets prior to the meeting with Government members. Finally, one more question. It has to do with culture, grant support, the financing of creative groups and cultural institutions. We have to work out a uniform approach to indexing such grants, and they have not been adjusted for quite some time. It is not such a large amount of money. I urge you to take that into account. Russian Government in preparing the budget worked very intensively on every aspect. I would just like you to remember some things I consider sensitive. Let us discuss all these topics. And not only those I have mentioned, but broader, global issues that you dealt with in preparing the budget. Mr. Siluanov has the floor. Russian Government has completed the drafting of the budget. In drafting this document we sought to solve several tasks. The first is to support the economic growth which began late last year, and we see good rates exceeding the forecasts. For next year we put interest rate cuts into the budget parameters, which is to say the cost of loans to entrepreneurs, and this translates into a corresponding boost in investment activity. We are expecting real investments to grow next year which would actually be one of the foundations for increasing sources of economic growth. The second goal. We have drafted the budget assuming we will meet our obligations regardless of the conditions of external markets. We have assumed a fairly conservative oil price of $40 per barrel, a decrease of the oil and gas budget deficit to below six percent in 2019–2020 and around 7 percent in the following year. We are also taking into account the meeting of our obligations via those parameters, independent of what happens with the external restrictions. We expect the budget deficit to decrease from 2.2 percent of GDP this year to 1.4 percent next year, and below one percent in subsequent years. What does this give us? It gives stability to the budget, resilience of the budget structure to different external factors which used to significantly impact budget performance. We do not need to cut expenses, we do not need to reconsider our programs next year. The second task is meeting all the social obligations specified in the May 2012 Executive Orders, primarily on government workers’ wages. The funds for that have been allocated in full. Starting in 2018, the provision of the Order on increasing wages to government workers will be fulfilled in full. We are confident that there will be a corresponding increase in the quality of services. We have envisioned wage growth in budget-funded sphere, which makes it possible to predict that wages will grow in the whole economy. According to forecasts, real wages will grow 4.1 percent next year, in part thanks to our increase of wages and benefits in the budget-funded sector. The next point I would like to make is the consolidation of next year’s budget structure. What does this mean? 64 percent of total federal budget revenues now come from non-oil and gas revenues that are not linked with short-term factors. Remember that some time ago everything was the other way round. The bigger part of budget revenues depended on short-term factors, creating risks during implementation of the budget. Both this year and next year we will continue carrying out all measures aimed at improving tax collection and administration without increasing the tax burden. We have planned measures to merge the data bases of the Federal Taxation Service and the Federal Customs Service. They are increasingly integrating their systems to improve fiscal performance. We will introduce systems for product traceability as well as markers. Cash register equipment will be installed in accordance with our timetables. All these measures will provide additional revenues to the treasury, which are accounted for in next year’s budget. Let me repeat once again that this will be done without increasing the tax burden for responsible taxpayers. Our draft budget also provides for improving the quality of expenditures, which will increasingly take the form of priority projects that differ from state programs in that they fix the indicators for the implementation of these projects. Their number is limited as distinct from state programs when there were 2,500 key indicators for 40 state programs. Naturally, it is impossible to monitor all of them, whereas priority projects will have a limited number of such indicators. We in the Government are regularly monitoring the implementation of these projects and holding accountable those in charge of implementation. More and more spending on such projects will be or already has been reflected in the draft budget for 2018–2020. Importantly, there will be a qualitative change in inter-budget relations starting next year. In accordance with your instruction, Mr. Putin, we factored in budget loan refinancing for the regions of the Russian Federation. On the one hand, this will considerably alleviate their debt burden. We have already met with governors at the session of the regional development commission in the Government of the Russian Federation. We discussed the issue in detail and explained how this will be done. This is the first point. Secondly, we are substantially changing the system of inter-budget transfers. For the next three years we are allocating a large part of funds with due account of the assessments, the so-called model budgets of the Russian regions that we are drafting by assessing their spending commitments. The Government of the Russian Federation has carried out this work and this will make fairer the distribution of inter-budget transfers. 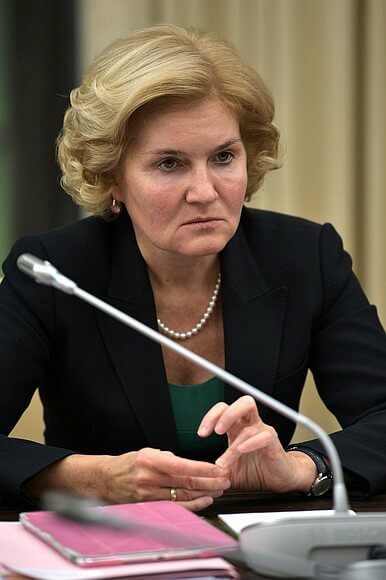 In general, we have envisaged incentives for the regions – grants that will be given to those regions of the Russian Federation that achieve the best results in economic growth, attracting investment and increasing their own budget revenues. On the whole, next year the structure of federal budget expenditures will be based on the priority of the social sphere: 36.4 percent of spending will go to the social sphere, 29 percent to defense and security and about 15 percent to support for the economy. Social spending will be higher than in the previous budgets. We believe this is an absolutely correct re-orientation of spending toward the human capital that is producing immediate returns and contributing to economic development. Mr. Putin, we have already started working with MPs. In July we held parliamentary hearings on budget policy for the next three years. Next week we will conduct parliamentary hearings on the draft budget in the Federation Council. I am sure we will make a joint decision with MPs during the discussion and probably certain revisions of the draft budget in the parliament of the Russian Federation. I hope MPs will support us. The policy that we discussed (in fact, it was supported) will now be expressed in specific figures and programs. I am sure that MPs will back us. Thank you. Since much has been done and, as always, such work is the result of compromise, I would like to ask heads of relevant departments to speak during debates in parliament as one team, to represent the interests of the entire Government rather than their sectoral interests. The interests of the Russian Government as a whole are expressed in the draft budget. Obviously, it is impossible to meet the interests of everyone in everything. This is understandable and natural but we must proceed from the premise that the budget is a uniform balanced document. I would like to ask you to treat it as such. 0 Comment to "President Vladimir Putin met with Russian Government members"